Here and now is a time to go into the forest so to speak and learn new skills. Many are being presented today by various teachers. They have been available to you for quite some time but never has there been an impetus to pursue and so they have been overlooked. From your point of view, what has been the motivating factor to learn about detoxing the pineal gland or how to spin your merkaba body? Or how to command your thoughts? Well there hasn’t been one and so the information has been available but mostly as background noise. Now is a good time to employ this knowledge, for it is new knowledge indeed to many of you. Mastery is being called for, not for a feather in your cap, but as a new road to travel. It is available to you and your birthright. Find the teachers you are attracted to and expand your skills.They are right under your nose, just look around. Many of you are attracted to Jedi training and such, just consider it real and time to step into. It will serve you and this entire ascension well. 11.11.11 was a time of gathering and bringing in Christed consciousness. The beginning of 2012 was a time to jump into co-creative energies and splash around in NEW possibilities. The period now, for the next 30 days is a time to focus on Mastery. Nothing will feel better than to step into your spiritual legacy. In previous times, the highest training you could do was through meditation. 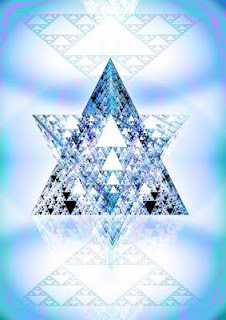 Now there are skills to be learned about activating your pineal gland, your Merkaba body and engaging with other energetic circuitries, or master frequencies.